Hi, I'm Brittany! I am passionate about sharing time saving projects around the house for other busy families. Today I want to show you how an easy way to apply tile—even if you haven’t felt brave enough to try it out. 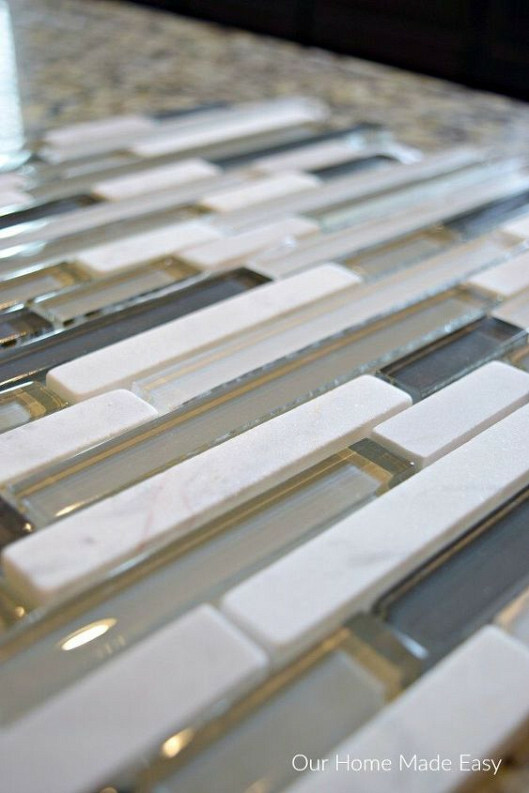 Tiling make such an impact on a room’s décor—but for us, it always felt a little overwhelming. Since we had 6 weeks to renovate our powder room, we wanted tile--- but with less mess and less overwhelm. Goal: Complete our first tile project. You can see the room fully updated on my blog here. This is our newly painted bathroom with a board & batten bottom. In the few days prior to installing tile, we added the board & batten and installed a new pedestal sink. We chose mosaic tile from Lowe’s. Since the tile is square foot in size, we decided to make our mosaic border 6” tall to utilize all the tile. 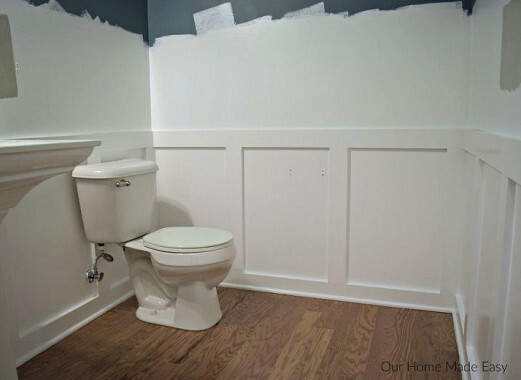 To give you an idea of space, the powder room is 6’ square. We used 11 sheets of tile for this project.